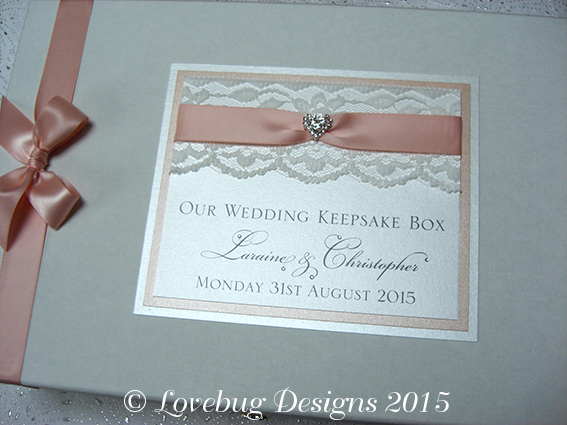 Perfect for keeping those special memories safe! 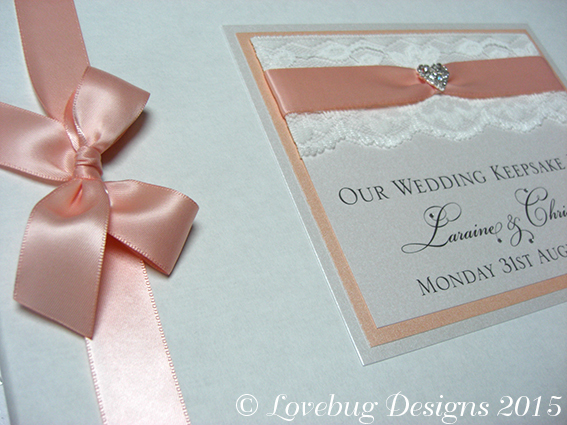 Ideal for cards, samples of your stationery, mementos from your special day and big enough to store your wedding shoes. 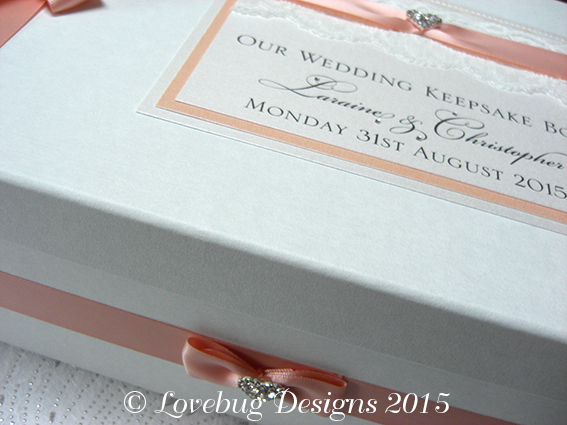 Designed to complement your wedding theme and colours, the boxes are personalised with the couples names and date. Also available for hen night and honeymoon memories. Available in snow white or natural ivory. Size: 23x33cm.